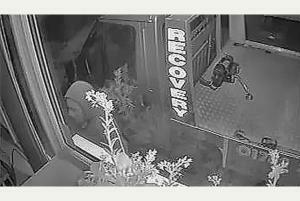 A thief suspected of stealing thousands of pounds worth of car parts from a van hire business in Stoke has been caught on CCTV. The man, who can be seen in the footage from BAR Garage Ltd spending two hours removing various parts from a van, is still on the loose. In recent months the suspect has returned to the premises several times, taking bumpers, seats, steering wheels, lights and other items from Ford Transit Connects. The company’s managing director, David Roberts, is now offering a £500 reward to anyone who has information leading to his arrest, the Stoke Sentinel reported. The story serves as a reminder for garages to ensure they have cover for the vehicles kept on site over night by obtaining a combined motor trade insurance policy, which can offer protection for both the premises as well as the vehicles and parts. Furthermore, for motor traders on the receiving end of multiple thefts, it could be worth using risk management experts to assess how the business can better protect itself from the threats of break-ins and robberies. New CCTV footage captured the culprit, wearing gloves and a balaclava, patiently taking apart a van before making off with the different parts during the August bank holiday weekend. The other thefts took place at the Broad Street business on 28 July and 8 August, with the same suspect believed to be responsible. The BAR Garage sells, rents and repairs vans, with 60 vehicles in its stock. The cost of the thefts to the business is thought to be around £6,000.